Preliminary investigation in the Scorpene data leak case has found that the leak did not take place in India but at the office of defence company DCNS in France, Navy chief Admiral Sunil Lanba said on Saturday. "There is a high-level committee which is inquiring into the Scorpene leak on our side," Admiral Lanba said. "Based on this inquiry, we will see what needs to be done, whether any mitigation measures are required or not," he said. "Preliminary probe in the case has found that the leak did not take place in India but at DCNS office in France," he Navy chief said. "In France, DCNS and the French government have launched an inquiry. Based on this inquiry, we will see what needs to be done," he said. 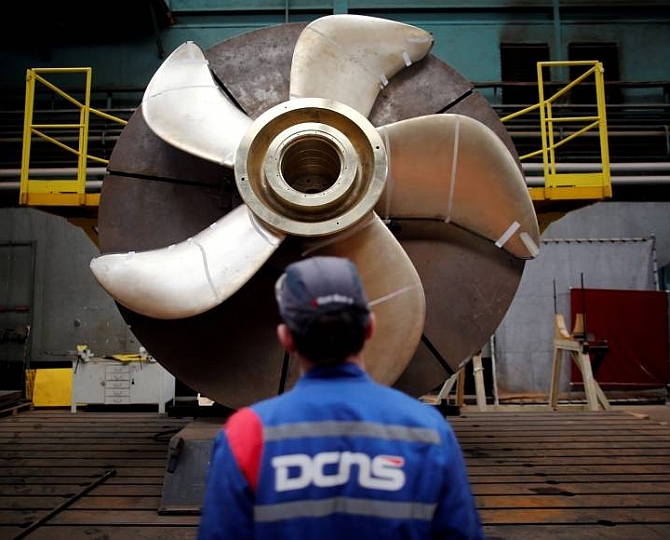 Over 22,000 pages of secret data on the capabilities of six highly-advanced Scorpene submarines being built for the Indian Navy in Mumbai in collaboration with DCNS were leaked, raising alarm bells in the security establishment. The combat capability of the Scorpene submarines, being built at Mazagon Dock in Mumbai at a cost of $3.5 billion (Rs 23,450 crore), went public when an Australian newspaper, The Australian, put the details on the website. Some of the leaked documents relate to information about operating instructions of underwater warfare system of the submarines which are used to gather intelligence underwater. Earlier, the indigenously built warship, Mormugao, equipped with a range of high-tech missiles was launched, with the Navy chief saying the stealth destroyer can be compared with the best vessels in the world. The vessel has been built by government-run Mazgaon Dock Shipbuilders Ltd (MDL) and belongs to Visakhapatnam class of ships being constructed under Project 15B. The vessel will undergo certain testing required by Indian Navy and would be subsequently known as INS Mormugao. Secret data on India's Scorpene submarines LEAKED!